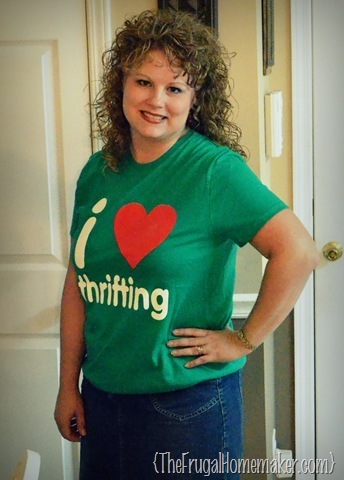 “I love Thrifting” day is almost here! Woohooo! So excited! Just a few more days and “I love thrifting” day will be here. Check out this cute shirt Rashon had made this year! 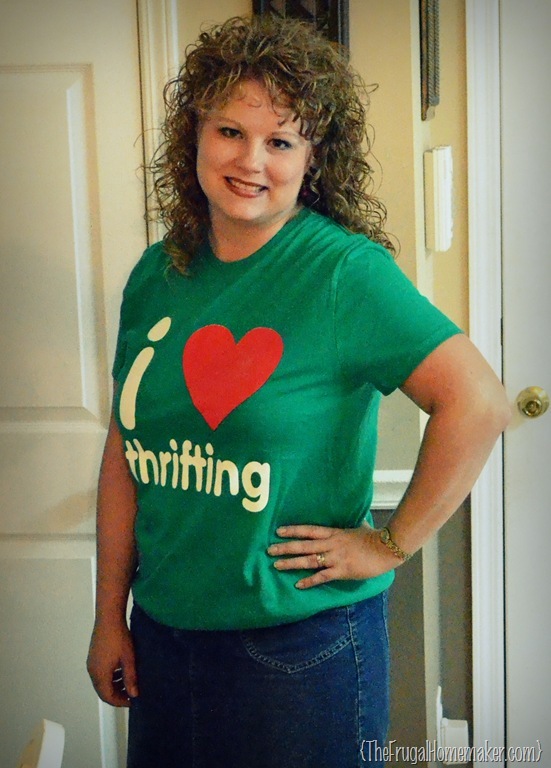 So I will be easy to find – just look for the green shirt with “I love thrifting” plastered all over it! At that point we can be done and you can go on with your day. But if any of you would like to visit the flea market I talk about (Village Flea Market in Porterdale), my fabric warehouse (OHCO), or another thrift store, I will gladly show you around! A few things – make sure to bring cash to shop at the yard sale. All of the rest of the thrift stores accept credit cards. And come ready to find some deals and have some fun! Looking forward to meeting you and thrifting together! If you want to just let me know in the comments that you are coming, that would help me make arrangements with Plain Nuts for lunch. P.S. If you aren’t local to Atlanta area, check out Rashon’s list to see if there is one in your area. Or just try googling “I love thrifting day in Charlotte, NC” or whatever and you can probably find a blogger doing one in your area. Your tee shirt is awesome! I love how you’ve mapped out your route. I’m a big yardsaler and I always map out a route as well. I’ve been using http://www.yardsalesearch.com to find local yard sales. It also maps them out on a google map, so it makes planning my own route even easier. Have fun this weekend! I am so jealous that you’re going!!! I didn’t find out about it until too late, but I can’t wait to see what you score! Have fun! YAY so excied finally got babysitters since my husband had to go out of town last minute. Cant wait to meet you all! !